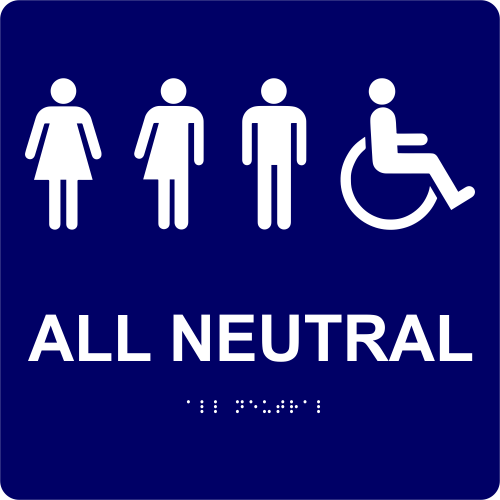 All Neutral Handicapped Sign 12" x 12"
Hang this ADA compliant sign near your restroom to let everyone know that your establishment is welcoming to all! With raised tactile lettering and Braille, our ALL NEUTRAL HANDICAPPED Sign is current with all state ADA rules and regulations. Select from your choice of multiple color combination options and order your ADA compliant All Neutral Handicapped Sign from us today!